Ottawa could have been quite the spectacular capital city. 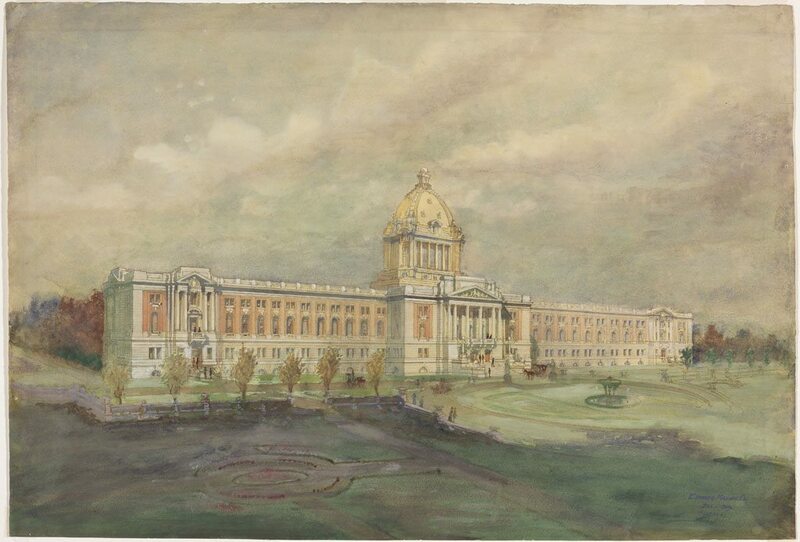 Early last century, architects crafted plans for monumental government buildings on Wellington Street, Sussex Drive, and other prime locations. But the visionless, parsimonious bureaucrats and politicians that have always run this town nixed the plans or simply left them to collect dust. Examples of these ill-fated architectural drawings are part of the new exhibition at the National Gallery of Canada called Artists, Architects and Artisans: Canadian Art 1890-1918. This was a unique period in Canadian history when creative minds from all aesthetic disciplines joined forces to design buildings filled with complementary furniture and decorations. It was all part of the Arts and Crafts movement of the day to add layers of art to our everyday lives. And yes, some wonderful homes were built, usually for the rich; some magnificent public buildings were erected; but there were also examples of dashed dreams, including the beautification of Wellington Street with buildings that today, on paper, look like edifices in some exotic fantasyland. Also ditched was a dramatic public memorial just east of the Parliament Buildings to the deceased King Edward VII by Walter Allward, the sculptor who created the iconic Vimy War Memorial in France. And then there were the many murals planned for the Parliament Buildings. 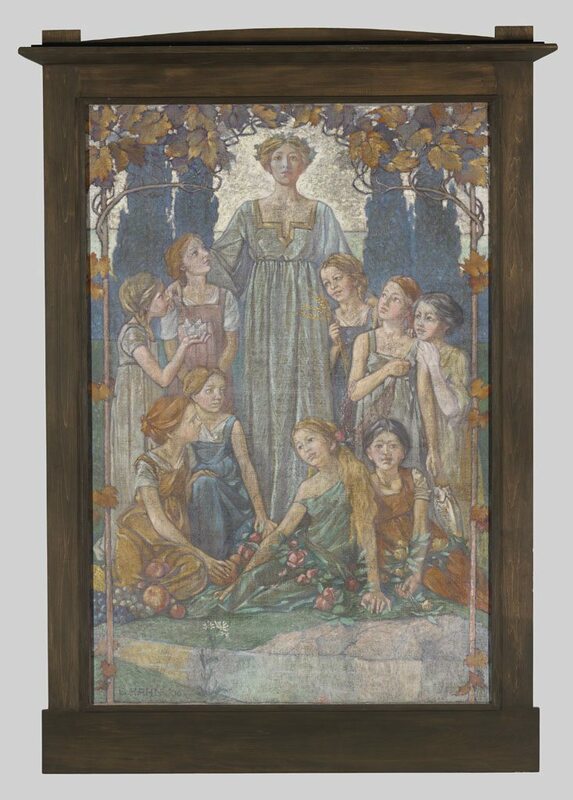 Among those paintings was one by Gustav Hahn in 1906 titled Hail Dominion showing a female allegorical figure representing Canada surrounded by nine children – there were just nine provinces then. That, along with many other murals were discarded because some government committee of bigshots doubted Canada had the talented artists necessary to do the job properly. Sad as well are some of the artifacts rescued from the old Russell Theatre from the corner of Queen and Elgin. The theatre was first built in 1897, destroyed by fire in 1901, rebuilt and then in the 1920s expropriated by the federal government, left to decay and eventually destroyed by fire in 1928. Call it death by neglect. From this 1,500-seat theatre, we see some of the artwork used to decorate the front of the house above the stage. 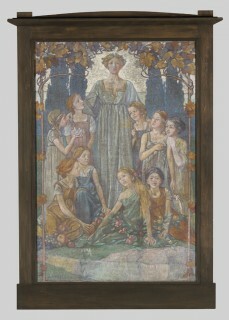 Fred Challener had created an 11-metre-long mural called Triumph of the Drama, complete with circular allegorical paintings at each end, one called Hate and one called Love. These three paintings were framed by exquisite plaster curlicues. Charles Hill, curator of this ambitious exhibition, showcases Hate and Love. Alas, the centrepiece mural was too damaged to be displayed. But we do see the maquette of the total package and it breaks your heart to know the real thing will never be seen again in its glory. So, do go see Hill’s exhibition. (It may be his last at the gallery before he retires.) 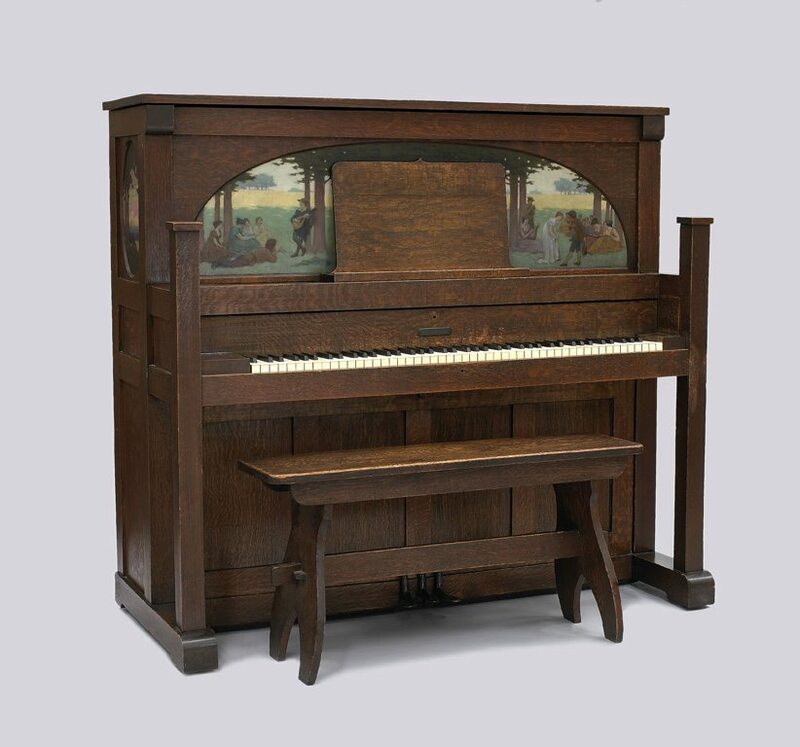 Savour the many triumphs of our artists, architects and artisans from a century ago but also be prepared to weep. 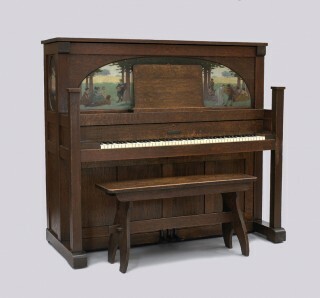 Artists, Architects and Artisans continues at the National Gallery until Feb. 2.